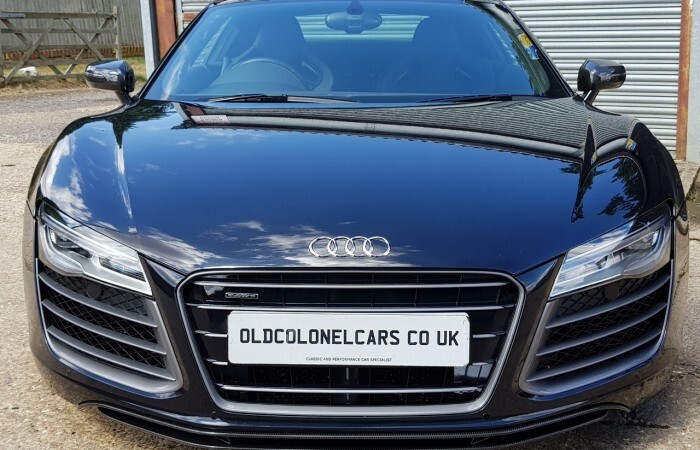 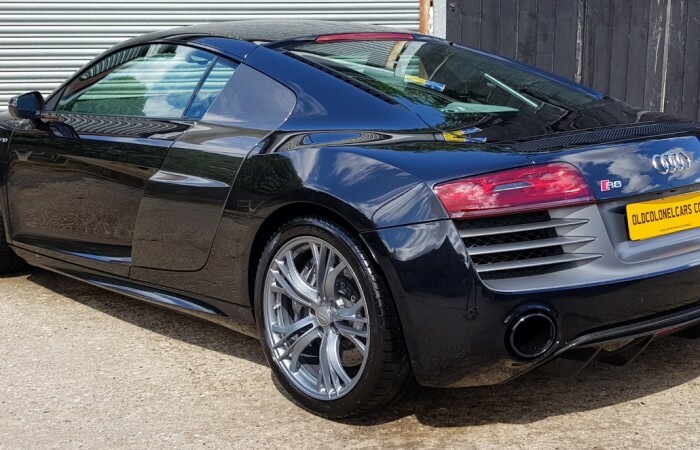 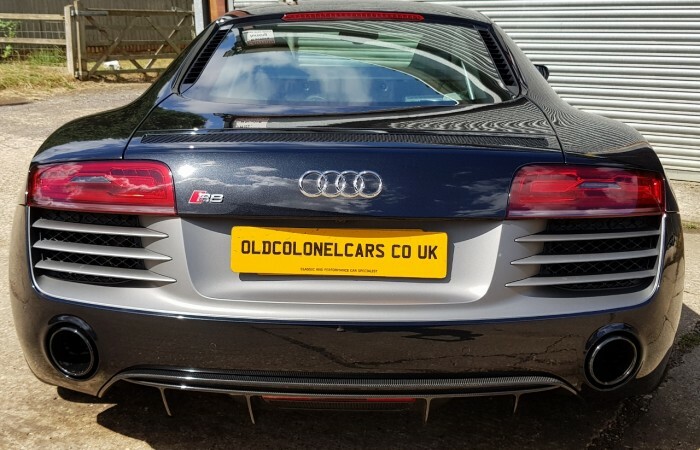 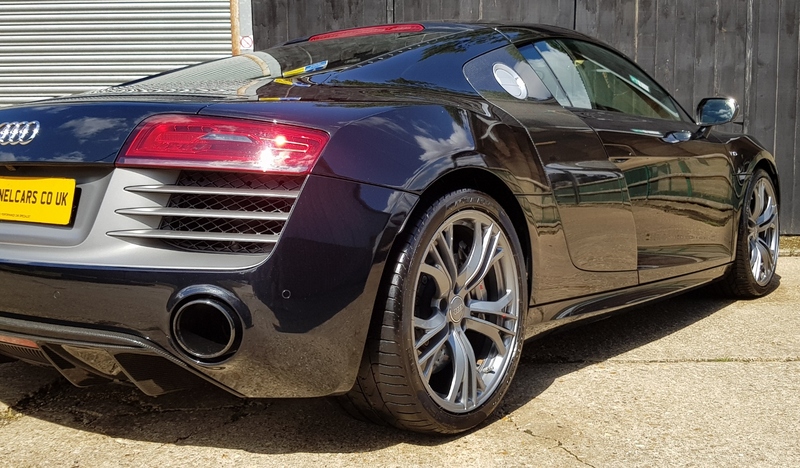 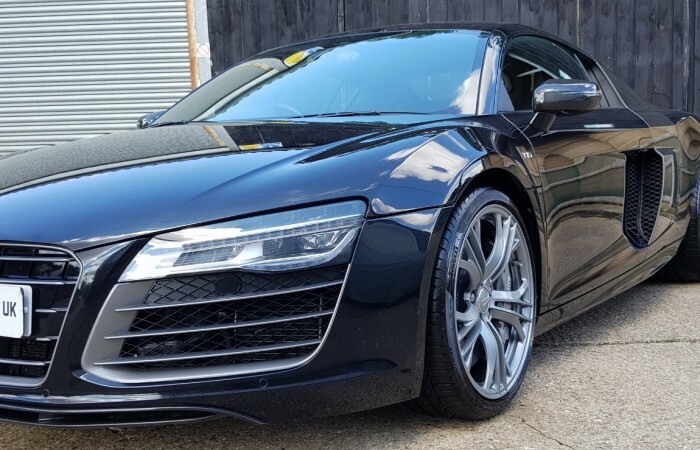 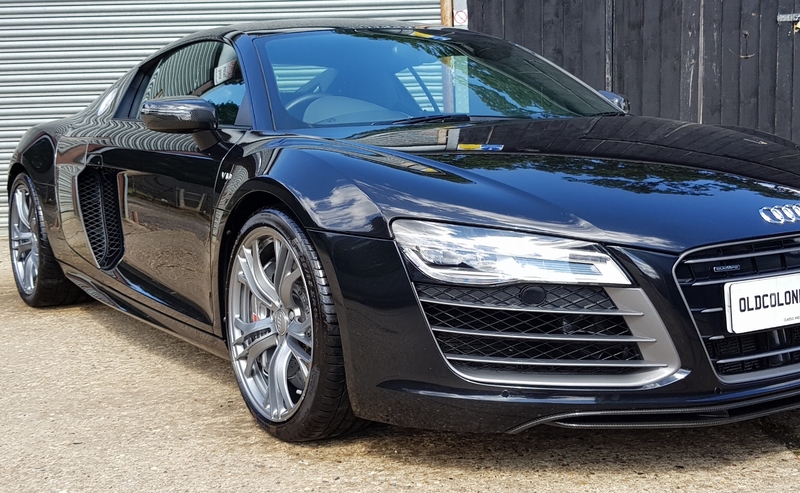 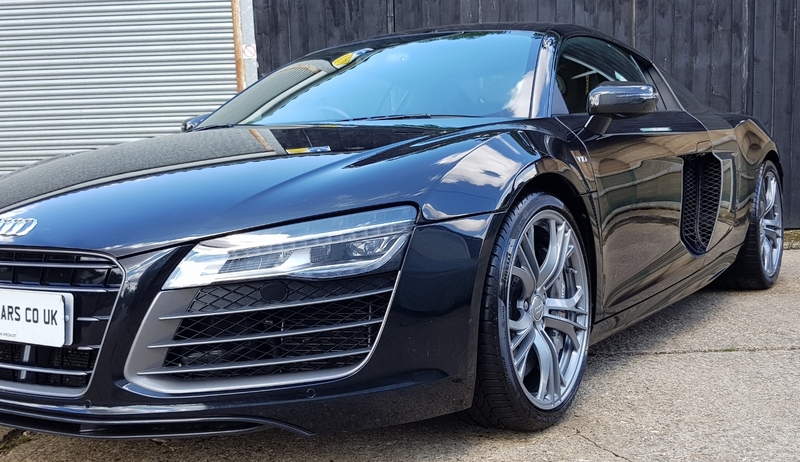 Here we have a simply outstanding Audi R8 V10 Plus, with only 17,000 Miles and full Audi main dealer history. 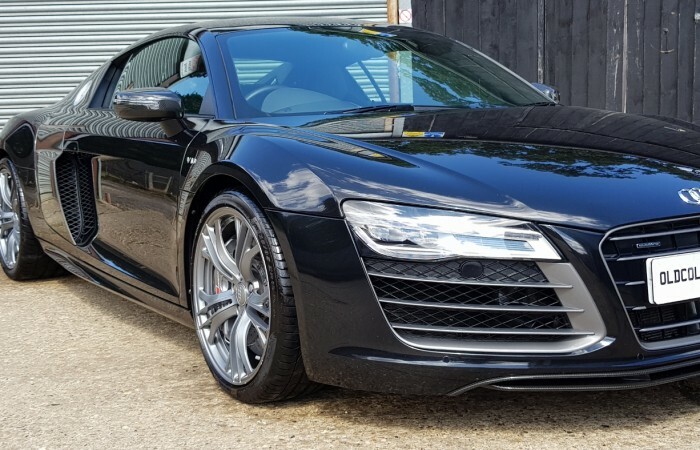 This October 2014 example is as good as you will find. 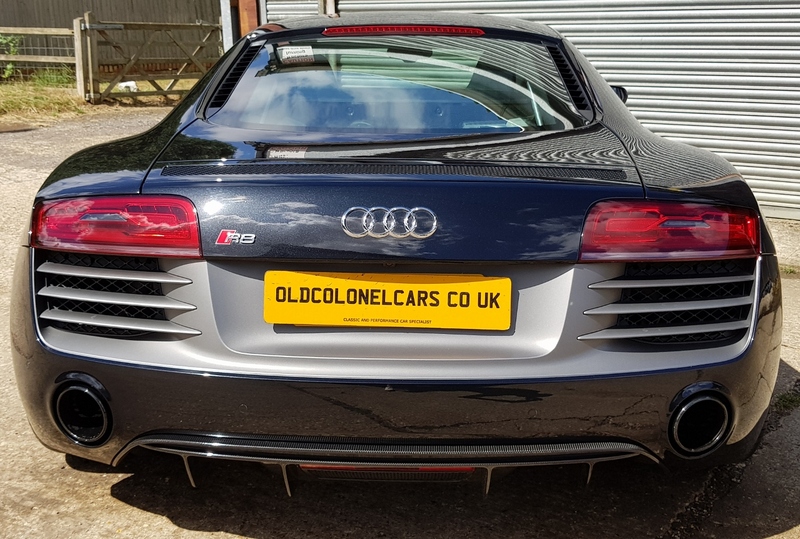 1 careful owner, kept in pristine condition, paint protected from new, just had service and full health check by Audi Watford. 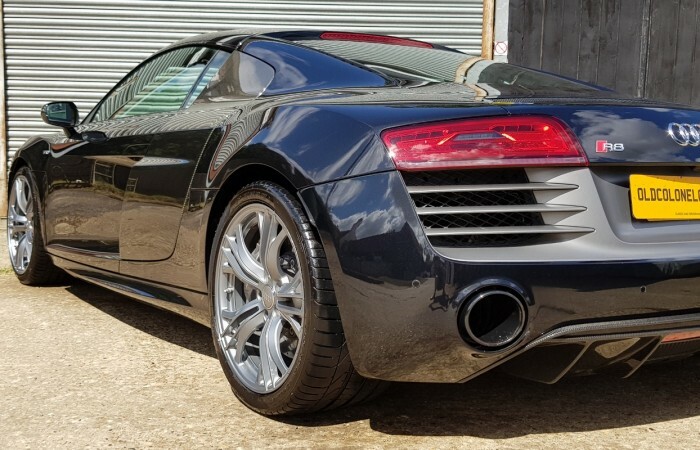 This example is the very sought after Plus model. 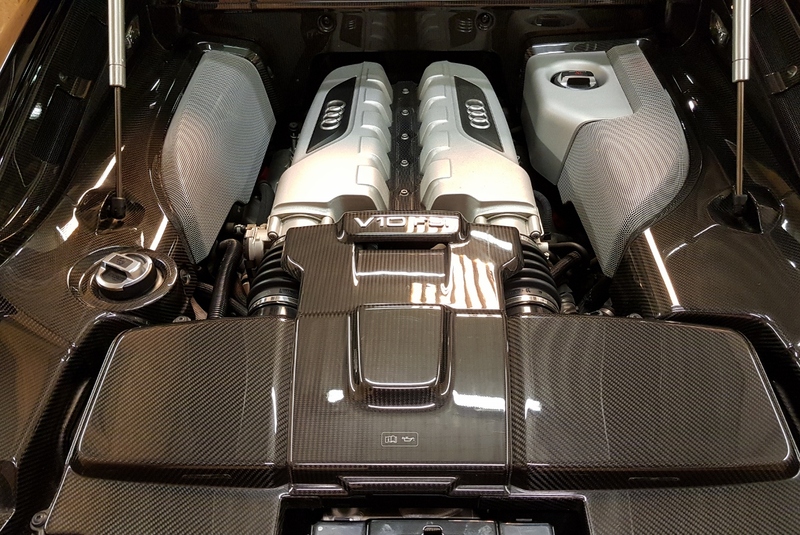 The Plus package means this V10 Engine produces an extra 24bhp over the standard V10 and it also comes with Carbon Ceramic Brakes. 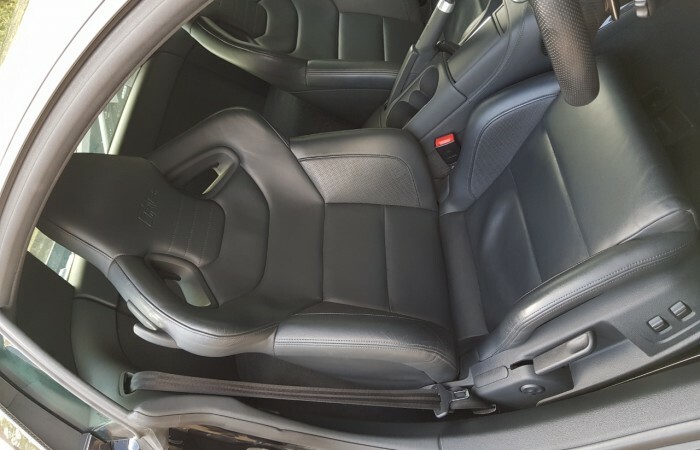 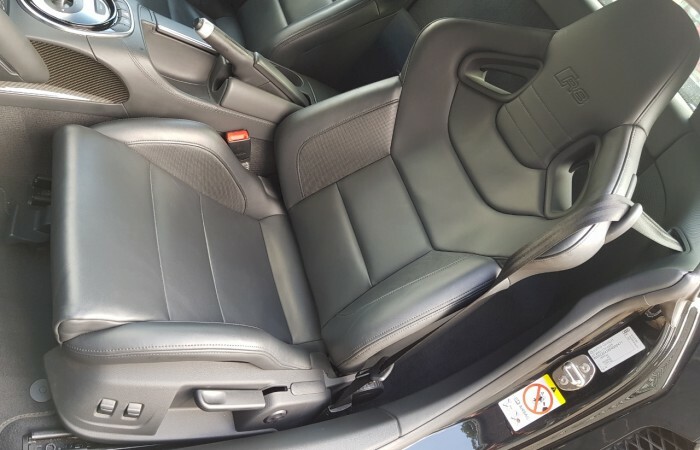 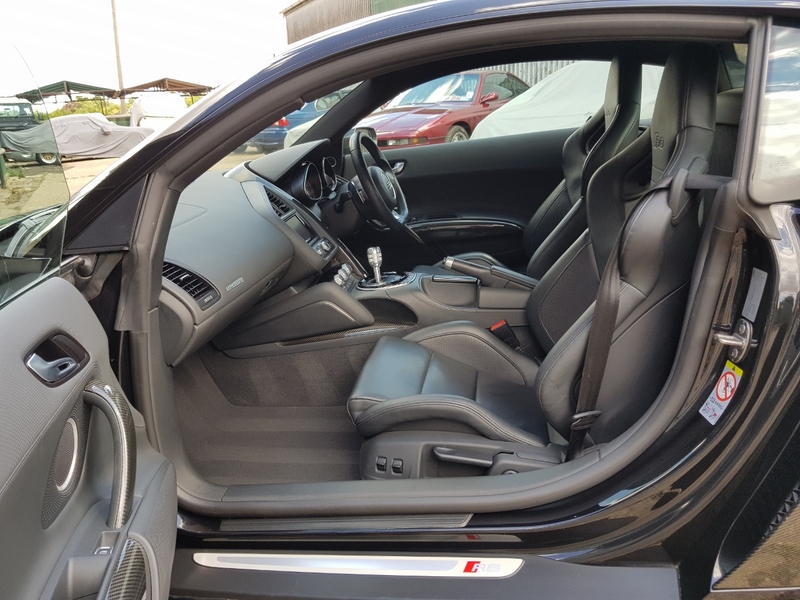 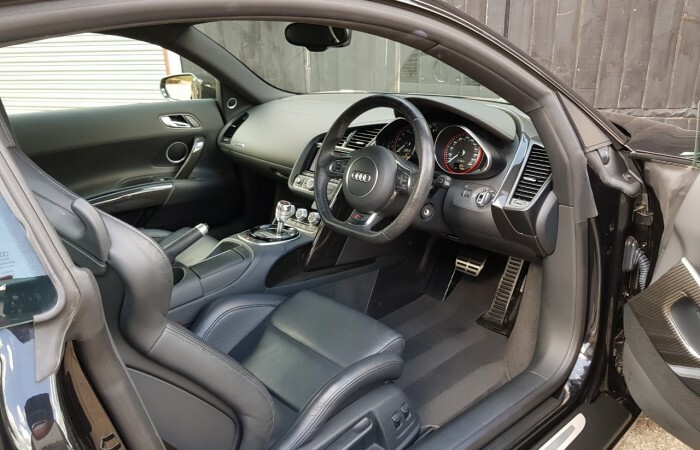 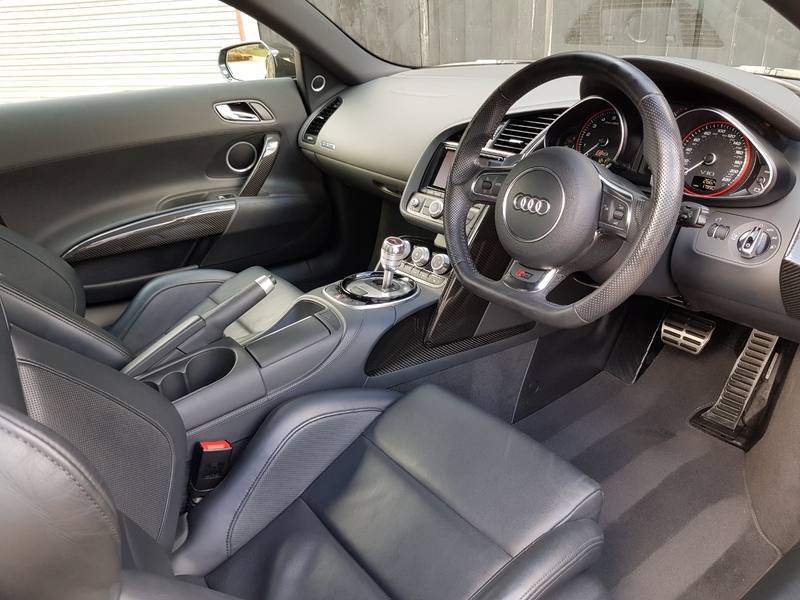 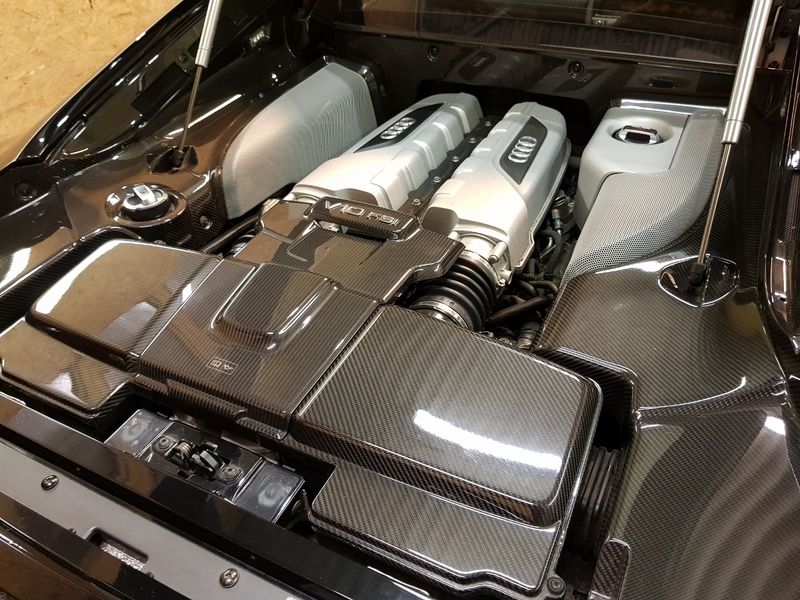 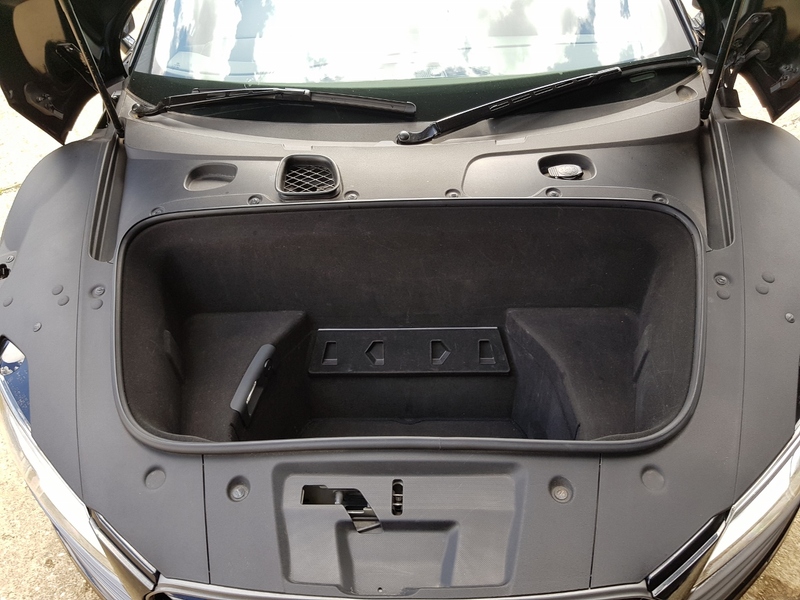 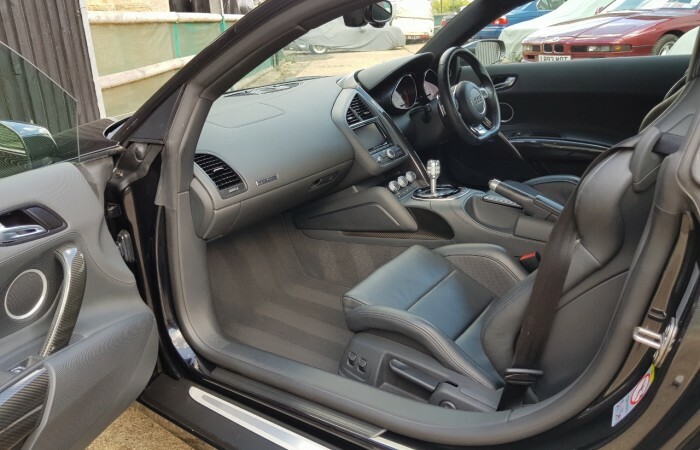 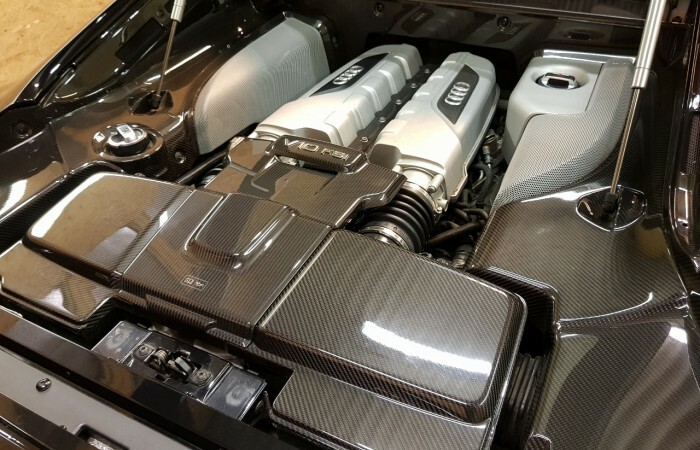 It also benefits from being 50kg lighter due to the use of considerable amounts of Carbon Fibre throughout the whole vehicle including the engine and engine bay. 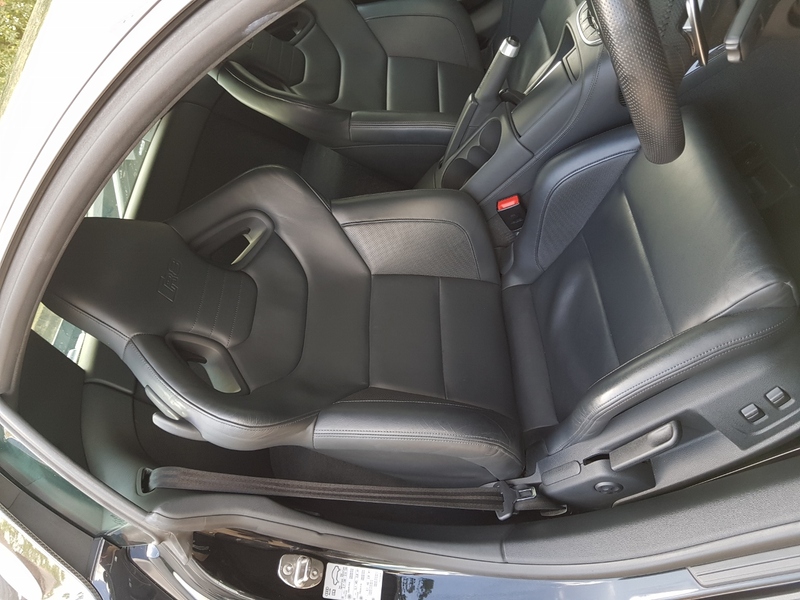 The handling of the vehicle is incredible thanks to the addition of Plus specific suspension. 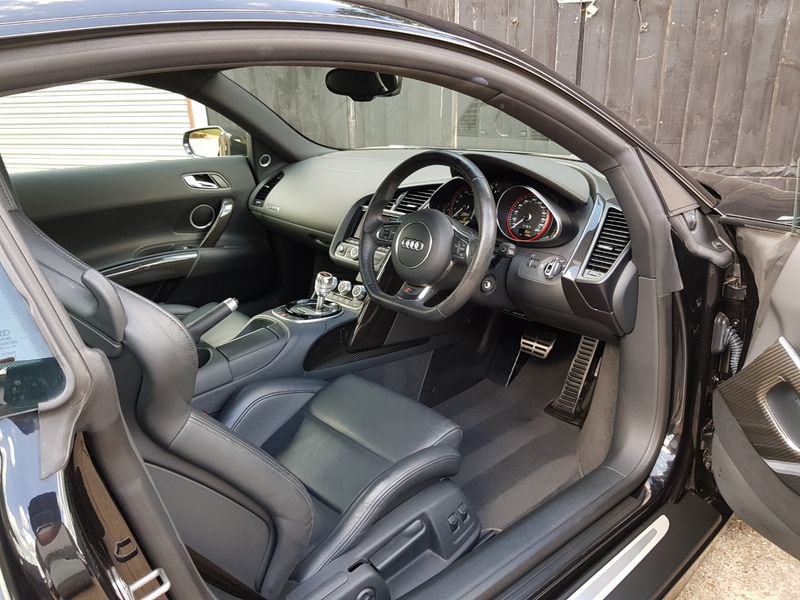 This example is ready to show, finished in a superb colour combination of Phantom Black Metallic with a full Black Nappa extended leather interior. 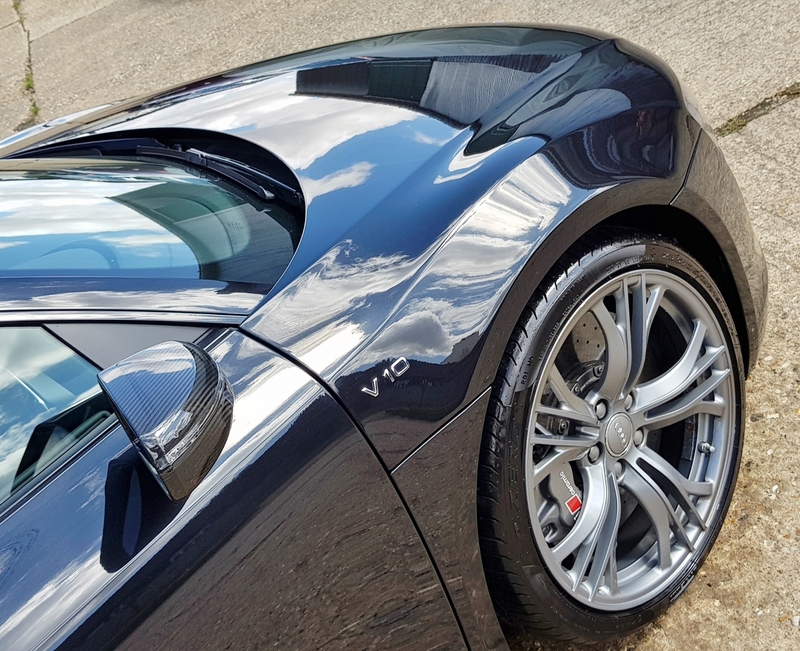 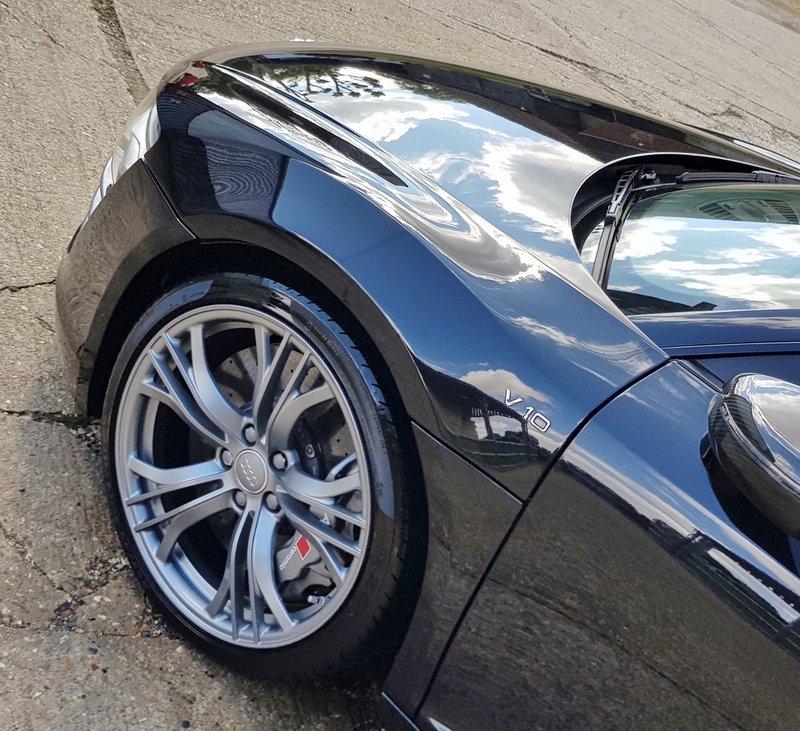 The paintwork and bodywork are immaculate, protected from new with ‘Williams Ceramic Coat’ paint protection, it looks superb. 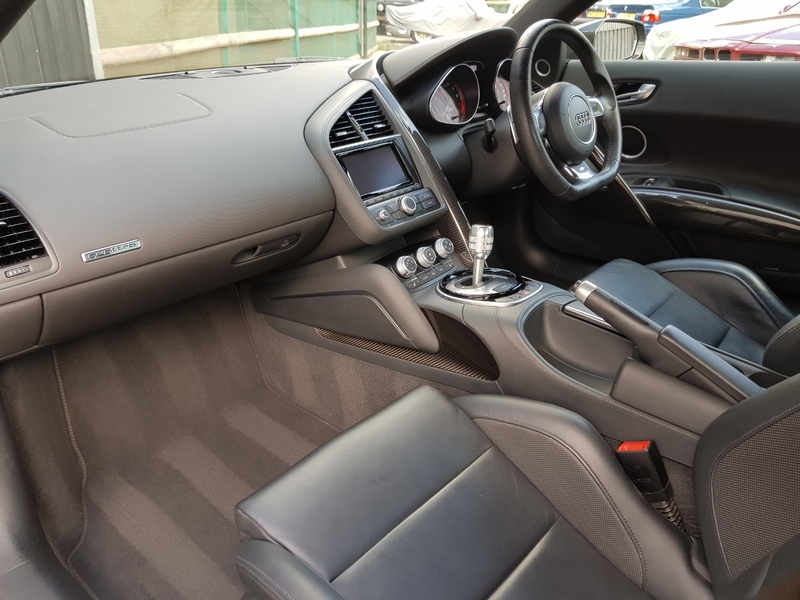 The interior is again in immaculate condition. 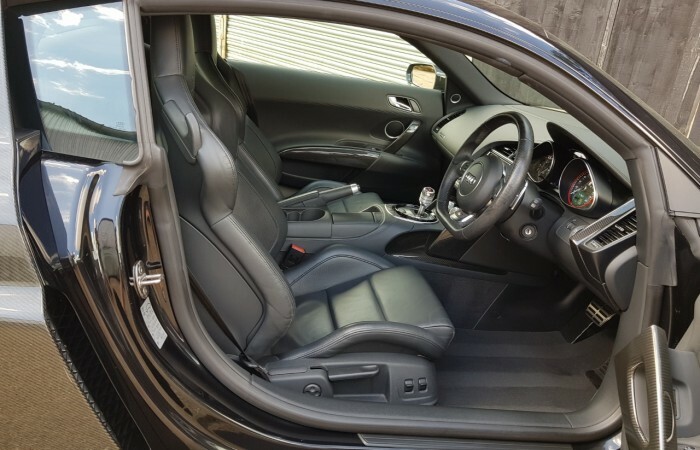 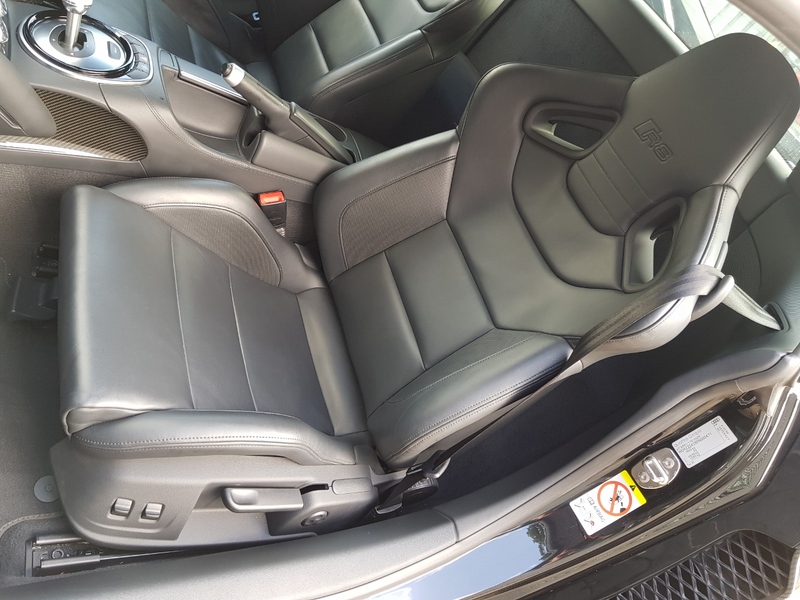 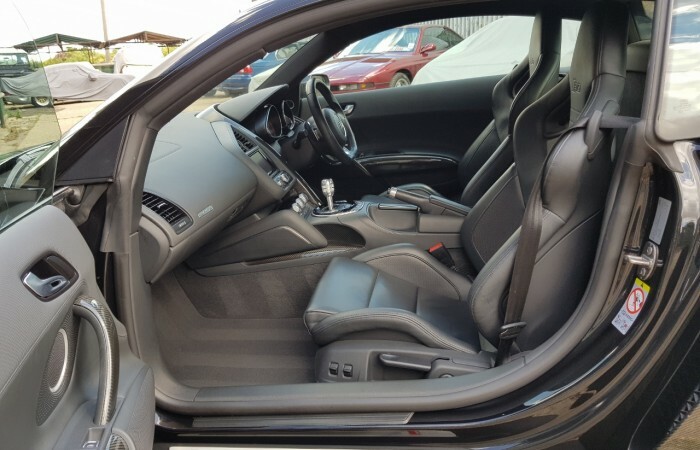 This example features carbon trim on the bodywork and as part of the interior trim, its a very special car. 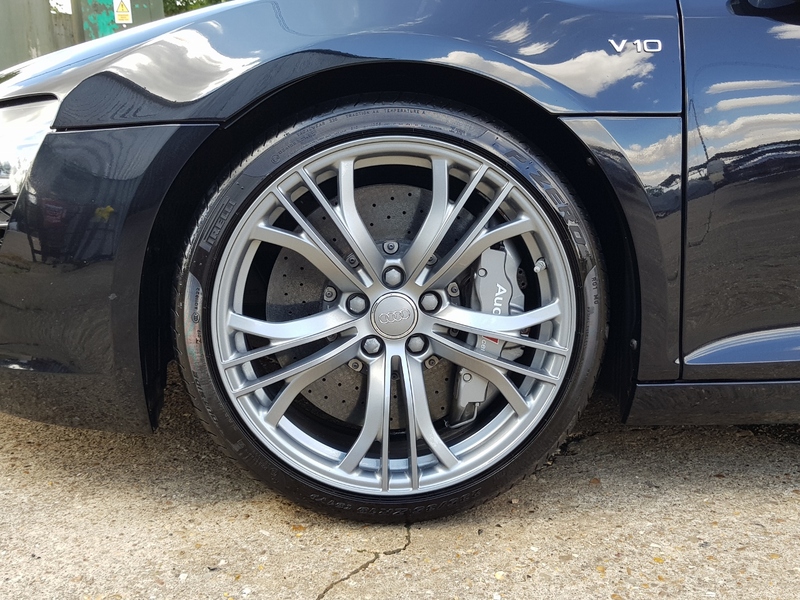 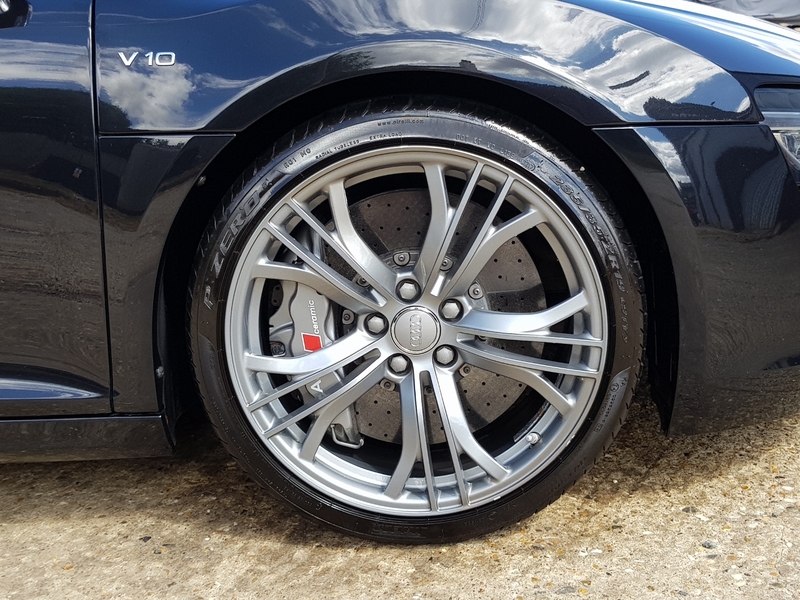 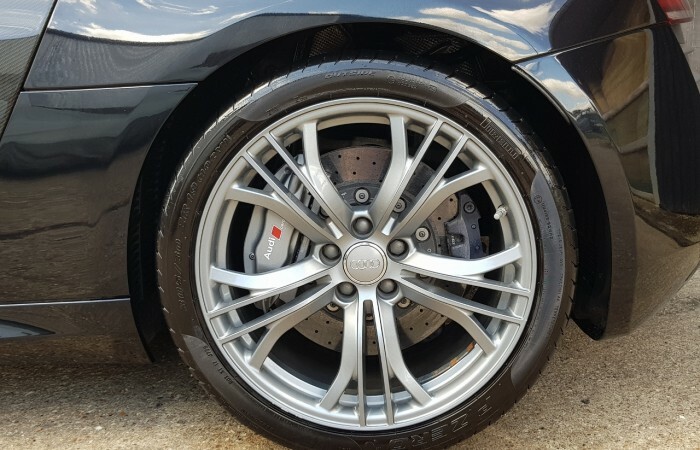 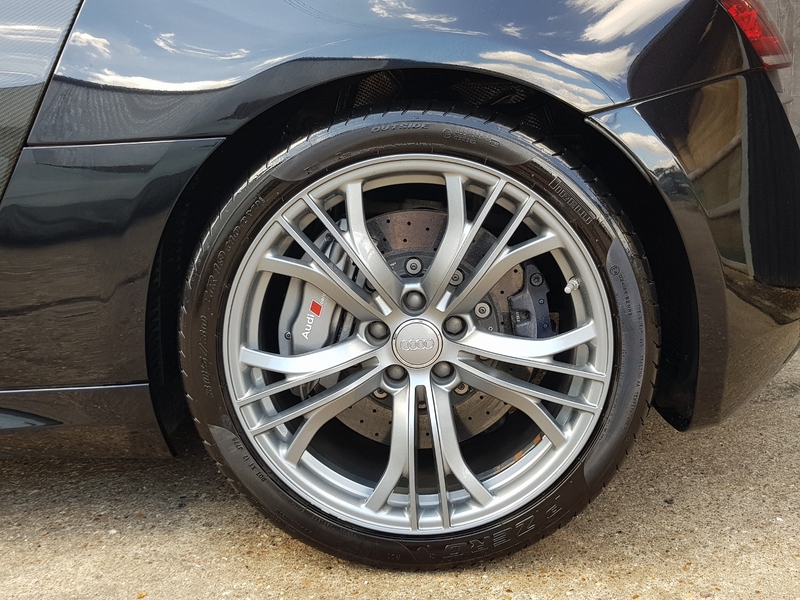 The wheels are light weight 19 inch alloys, fitted with the correct Audi approved tyres. 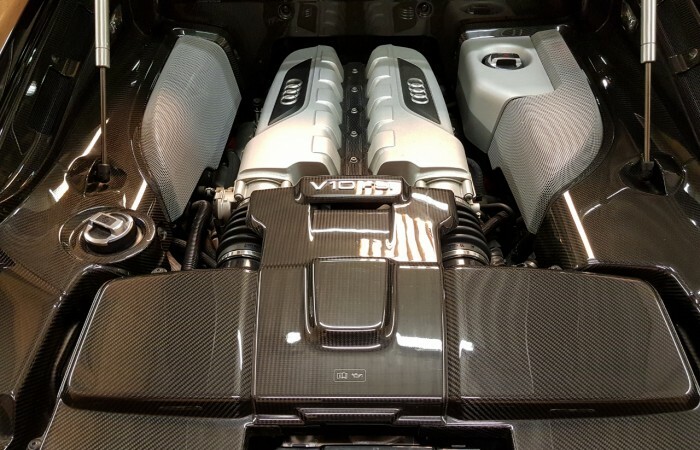 The 5.2 V10 engine on this car is a masterpiece, it sounds amazing, responds instantly. 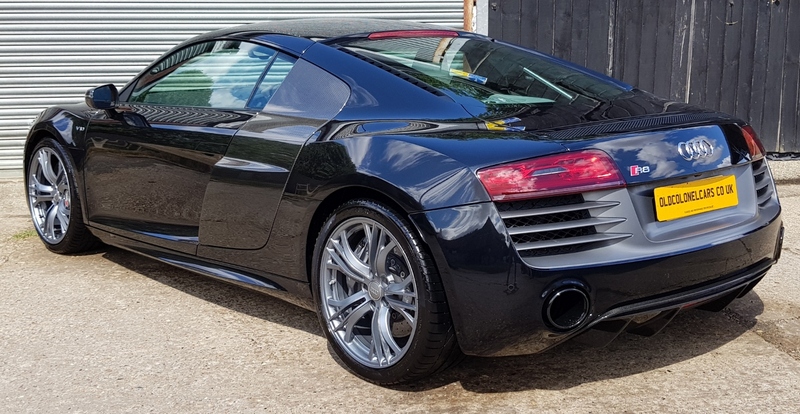 This example drives and performs perfectly, this car has all the performance you will need. 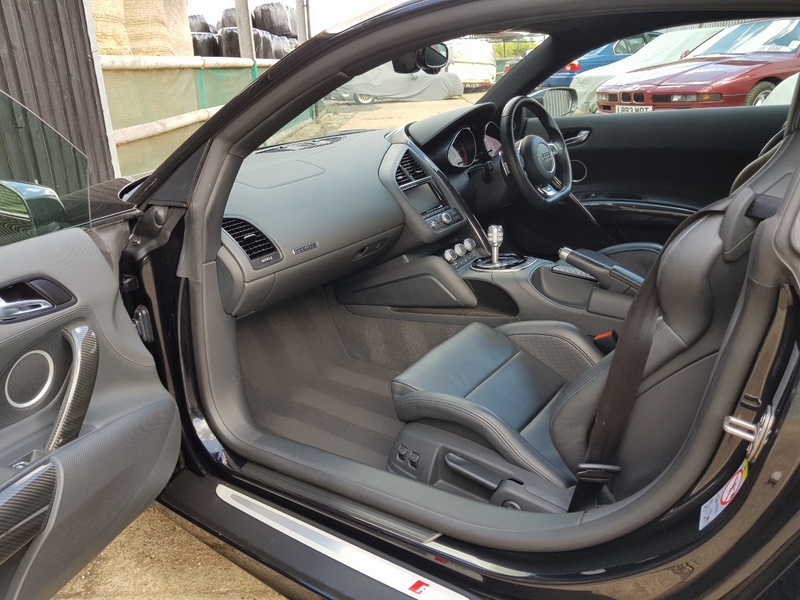 The 7 speed S Tronic gearbox works perfectly with this quick revving engine. 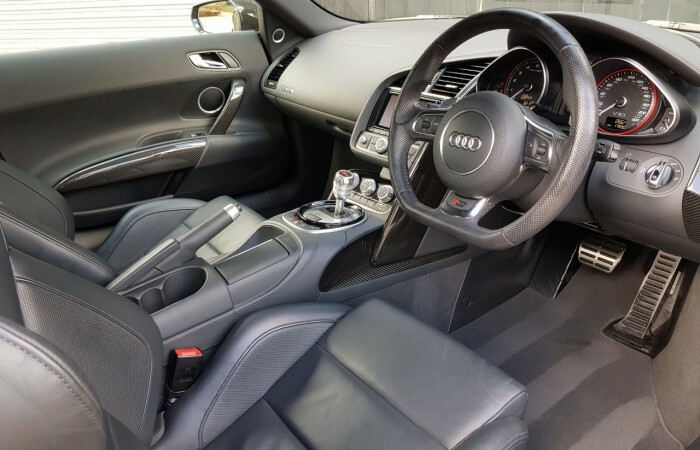 Leave in auto mode for relaxed driving or use the paddle shifts when you feel like taking over. 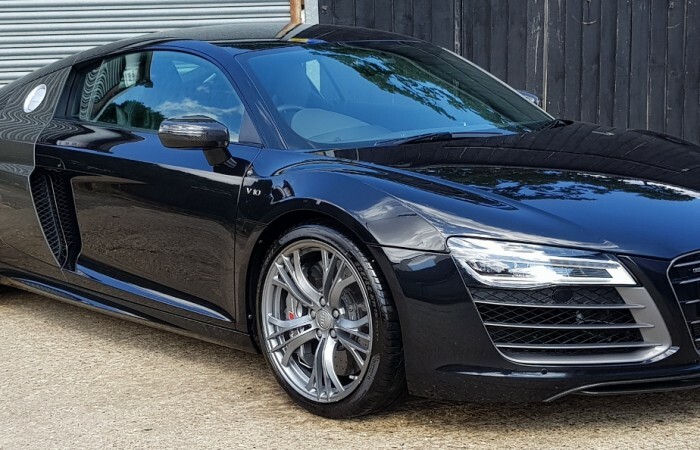 This R8 comes with the perfect service history. 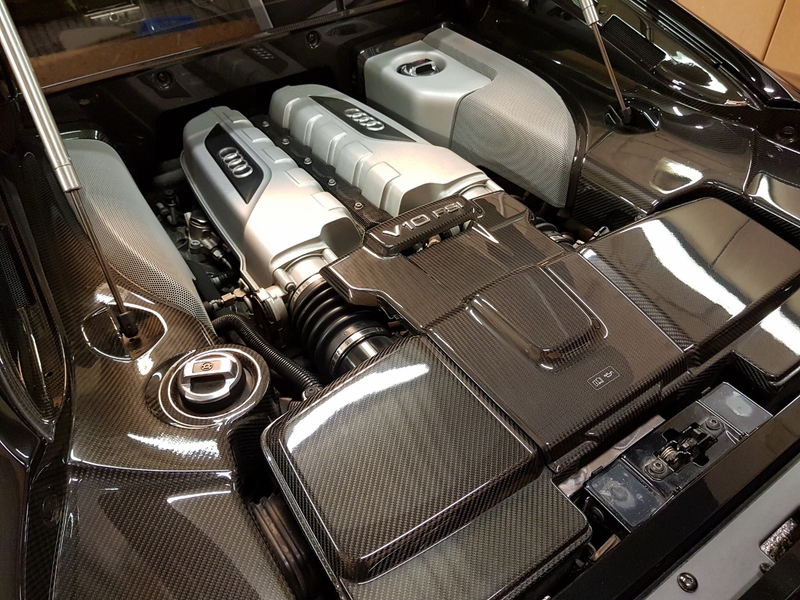 Its a 1 owner car, always serviced by Audi. 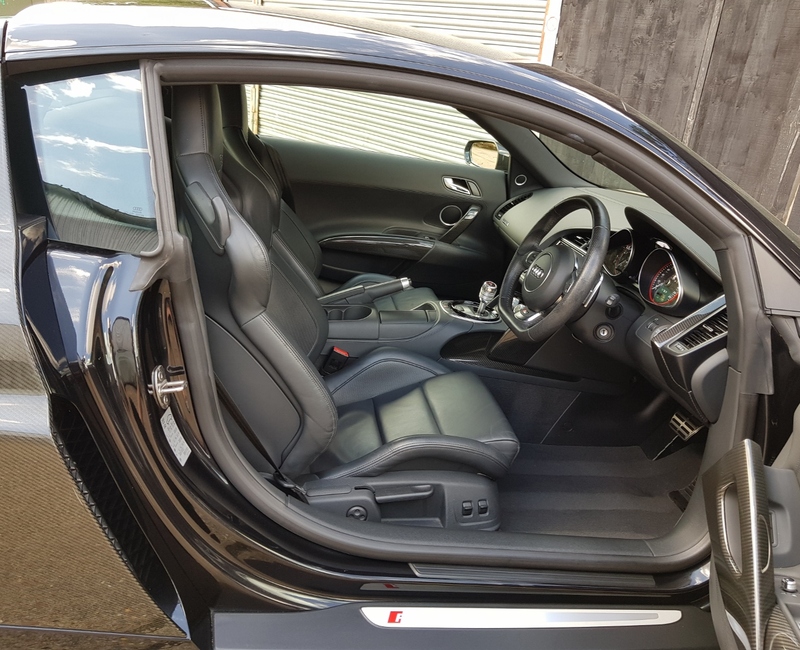 We have all the original manuals, all the receipts, both keys, both Tracker fobs, HPI certificate etc. 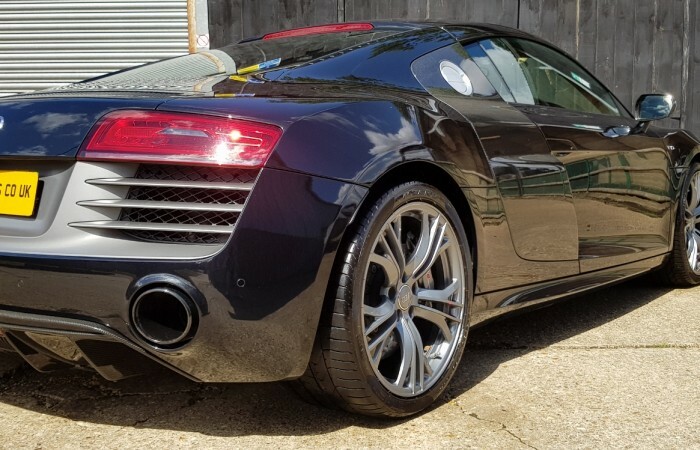 If you are in the market for the best R8, this example must be seen. 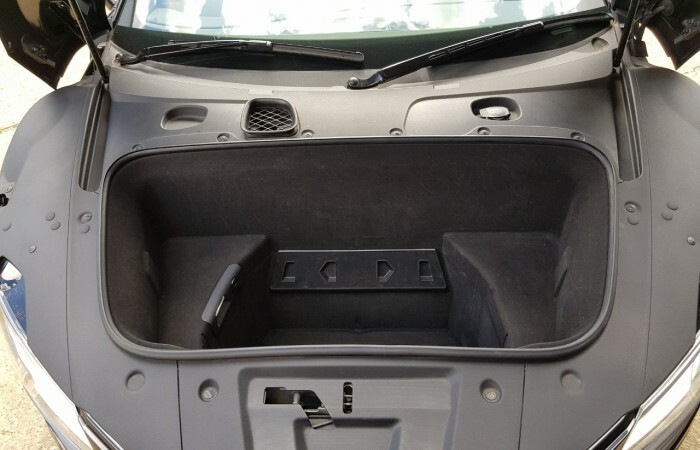 It really is in ‘Show Car’ condition. 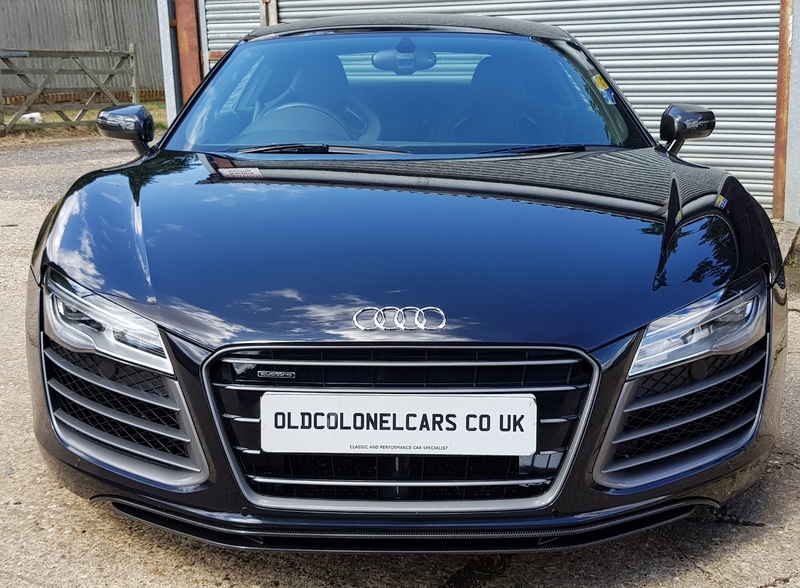 To get this car ready for sale, its had a Health Check and Oil Service Watford Audi. 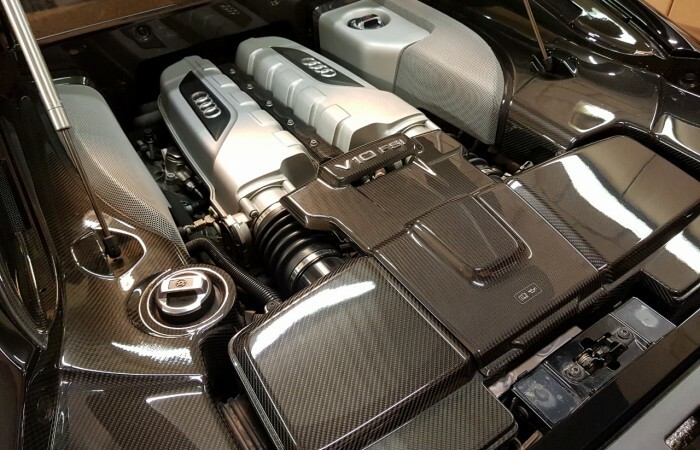 The R8 V10 plus is the model to own. 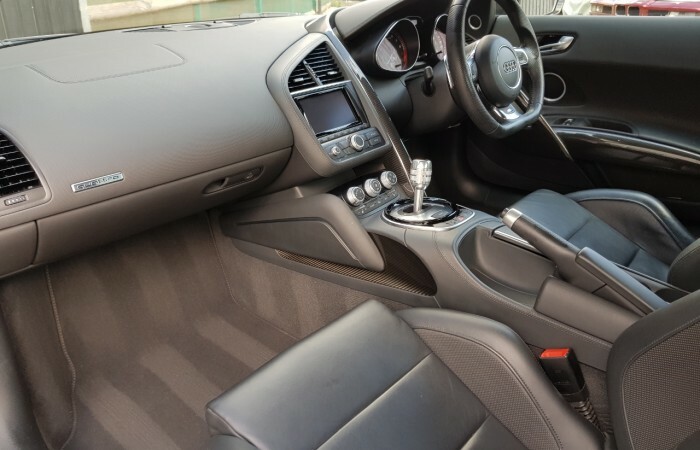 This car represents excellent value for money. 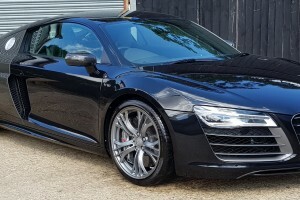 This R8 is ready to enjoy now.